THIS pre-war design boasted an excellent performance and was admirably suited for fast scouting duties in the early months of WWI although lack of effective armament prevented it from becoming a truly useful fighter type.Several examples were used as light bombers however and RNAS Tabloids made successful attacks on German airship stations in late 1914. 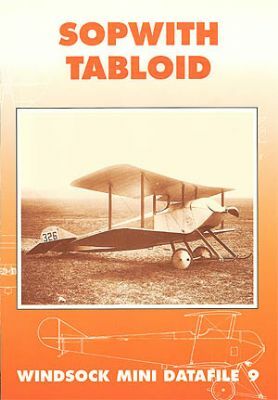 This expanded 16 page monograph by Jack Bruce records the history of this popular Sopwith biplane in great detail with over 35 rare photos; three pages of 1:48 and 1:72 scale plans and several contemporary airframe sketches along with an authentic colour plate on the rear cover. Photos of floatplane and Russian Lebed versions are also included.